Forget the spreadsheets and stacks of notebooks. If you’ve ever searched for a new job, you know the struggles of trying to remember who you’ve met, what you’ve applied to, and when to follow-up after conversations and interviews. 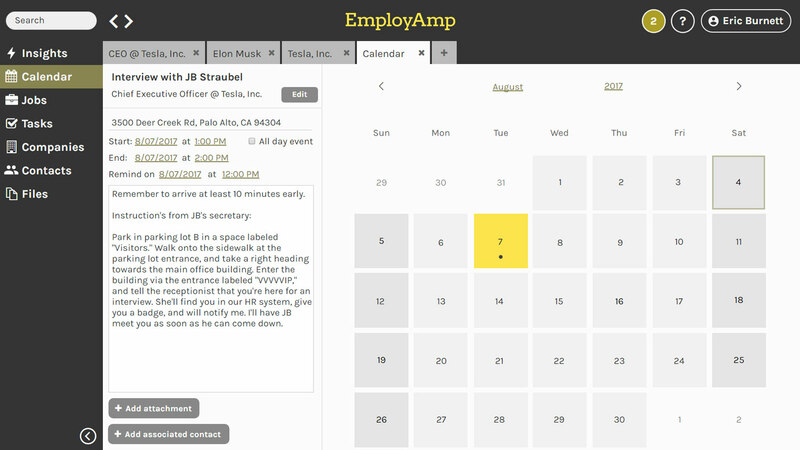 EmployAmp is the central dashboard that helps you keep track of who you’ve talked with, jobs you’ve applied to, and tasks you need to complete. 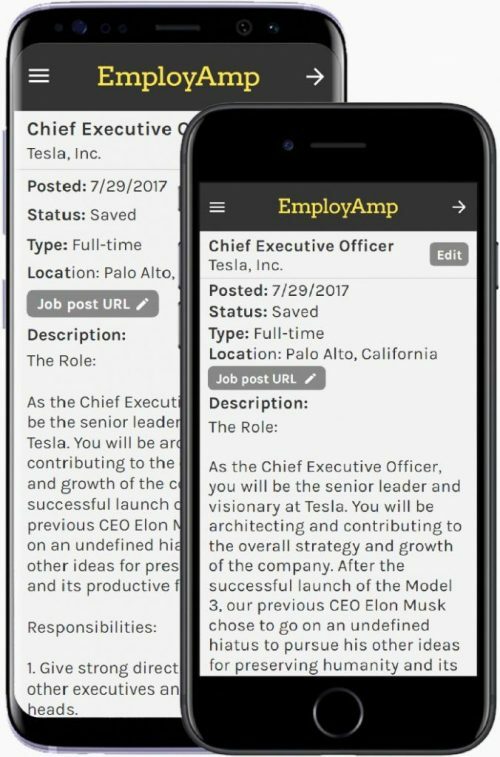 Save entries directly from job boards. When sifting through job boards and search engines, it’s too easy to forget an important posting that you want to view later. With our web browser extension, you can quickly save jobs directly to your dashboard without ever leaving the job posting. Powerful event manager that syncs with your calendar. Quickly schedule meetings and even sync events with your existing calendar service for ease of access. 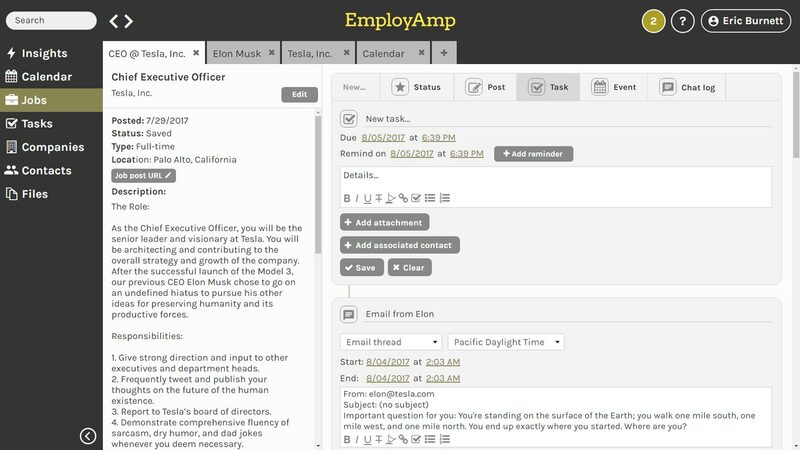 Be reminded of important appointments and tasks via mobile notifications, emails, and dashboard alerts. Sign up to start using the alpha version (free until full release). We have only the essential features available for now, but we are continuously adding functionality and improvements. By signing up, you acknowledge that this is an early version and that we are not assuming risks or providing any guarantees.